Styled with icon pant . 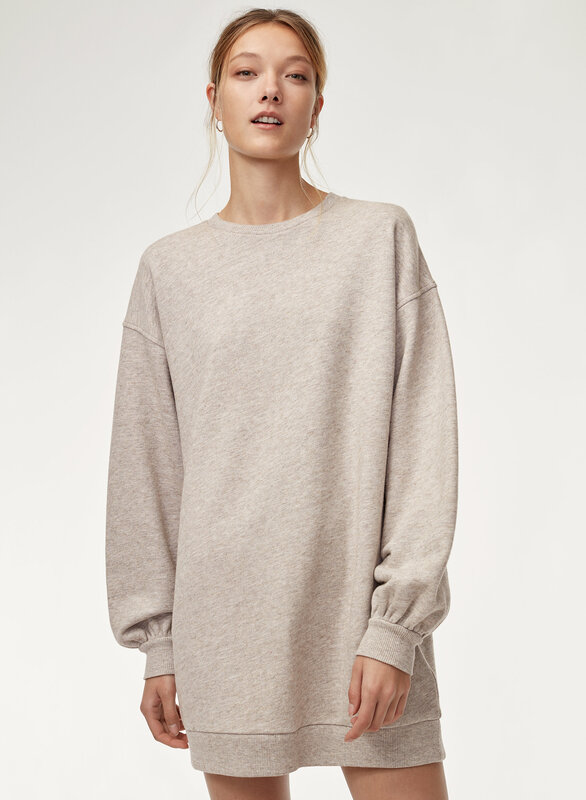 This sophisticated sweatshirt dress is easy to wear thanks to its exaggerated proportions. 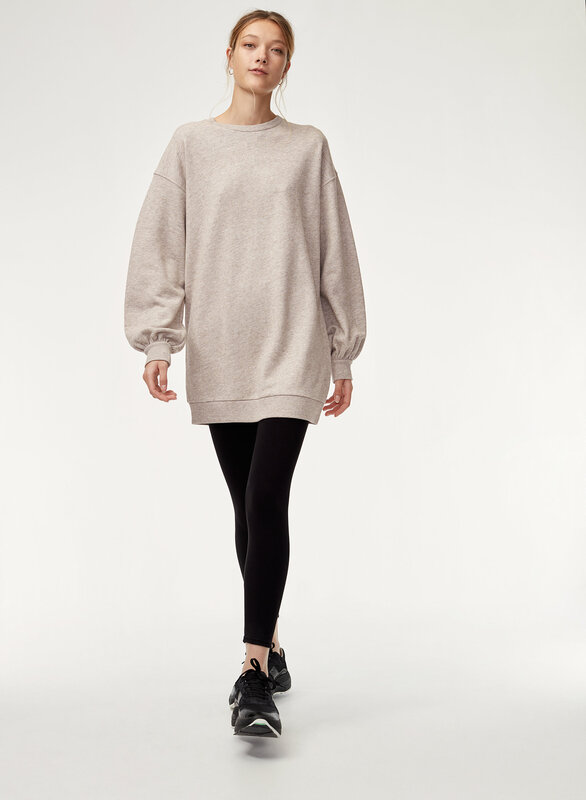 Brushed French terry drapes nicely while drop shoulders lend a rounder, softer shoulder silhouette. 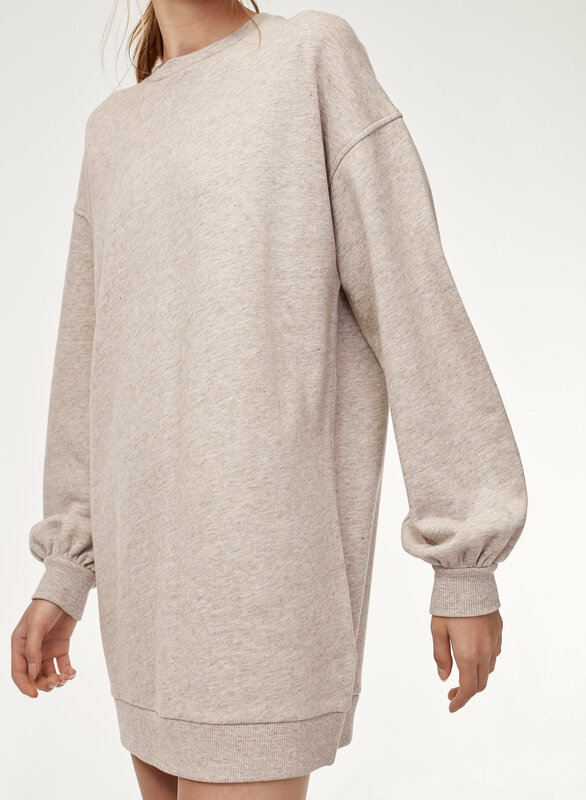 Love this dress, very comfortable. 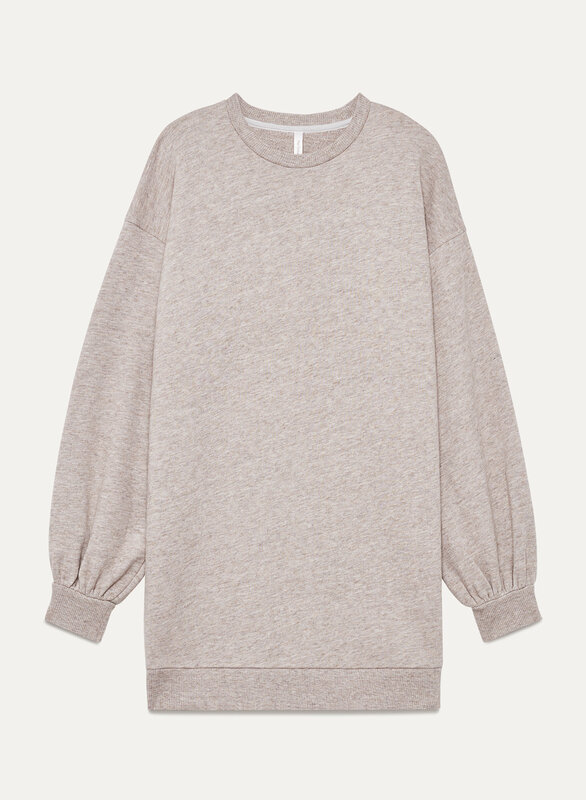 It's not too baggy, and the sleeve detail is just the right amount of detail for a sweatshirt dress.